Kurigram is witnessing a year-on- year rise in maize cultivation with prospect of more areas to be brought under this cereal, world's most consumed staple. Statistics provided by the Department of Agriculture Extension (DAE) show that maize production (8,392 hectares) exceeded the targeted acreage (7,735 hectares) in 2017. In the previous year too, as against a targeted acreage of 6,517 hectares, maize was grown in 7,733 hectares in the district. An estimated 8 lakh MT of maize was produced in Kurigram last year fetching the growers a good profit. Farmers and agriculturists believe appropriate government motivation and awareness would help further expansion of maize in the river basin areas. The district is blessed with flows of as many as 16 rivers including the Brahmaputra, Teesta and Dudhkumar with fertile land spanning over one lakh hectares in 400 chars. Currently only mustard, nuts and Kalai lentils are grown in this region. Lack of irrigation hinders the farming of rice on the sandy ground. Cultivating more maize would be possible if the flood water decreases soon, but the farmers lag behind due to lack of capital and other supports. Experts think, if supports are provided by the government, maize cultivation can change the farmers' fortune boosting up the char region's economy. 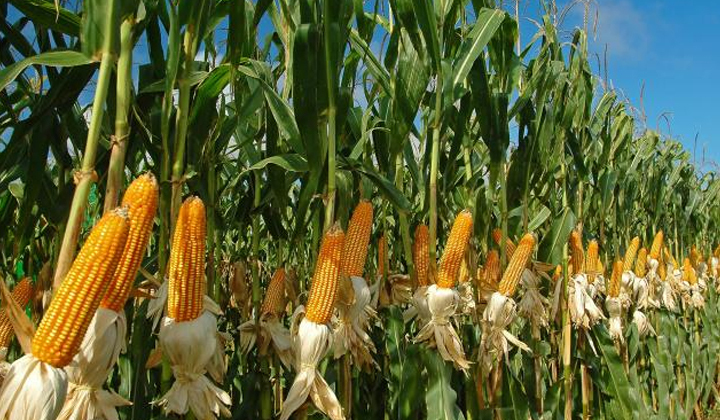 Abdur Rashid, acting deputy director at the DAE's district office, said that quality maize is produced in this district, which can be exported if the concerned agencies coordinate with each other. Abu Saleh Muhammad Ferdous Khan, district commissioner of Kurigram, said that growing maize is costlier than other crops. If quality seeds and other input supplies are ensured farmers can reap better in the region, he said.